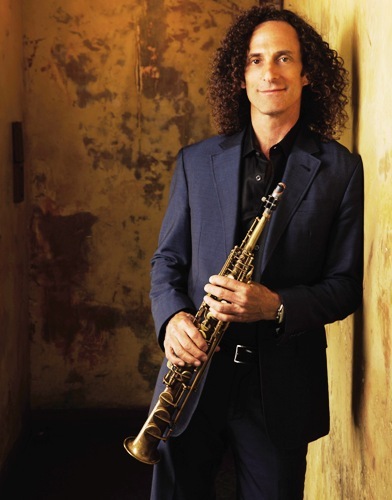 Superstar saxophonist Kenny G will tour the UK in 2016, including a gig at Birmingham Symphony Hall on June 28. The tour will also see Kenny playing dates at Gateshead Sage (June 26), Manchester Bridgewater Hall (June 27) and London's Royal Albert Hall (June 30). 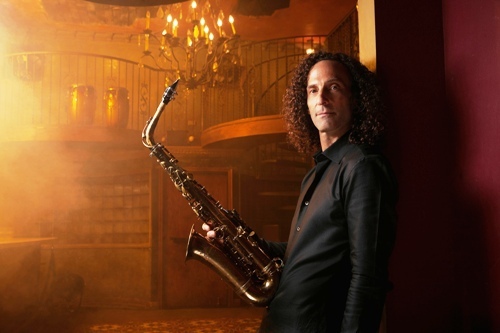 Kenny G, real name Kenneth Bruce Gorelick, is the only saxophonist to have sold 75 million albums, videos and singles, including the classic hit song Songbird. His trophy cabinet contains Grammy, American Music, Soul Train and World Music awards, and he has a star on the Hollywood Walk of Fame. In a recording career that spans almost three decades and 23 albums his repertoire features R&B, pop and Latin, all grafted to a jazz foundation. 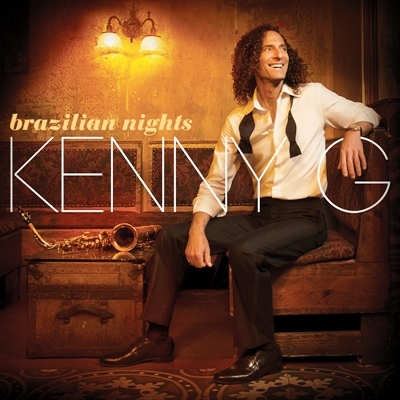 Brazilian Nights is Kenny's latest album but it was previous studio release, 2010's Heart and Soul, that captured the spirit and the vibe of the classic R&B that Kenny grew up listening to in his native Seattle. "If I were to go back and start all over again, recording my first CD, I think this would be it," he says. "It's true to my roots, it has soul, and it has the kind of R&B that influenced me in the first place. Making this record was a heartfelt experience. It took a year and a half to finish, because we paid a lot of attention to every song, melody, and note." Kenny's long-time song-writing partner and producer, Walter Afanasieff, served as a creative foil in the making of the album. In addition, guest vocalists Robin Thicke and Kenny 'Babyface' Edmonds each took a turn at the microphone. "I really tried to play without any restraints when we were recording, so I just let things take their natural course in the studio," says Kenny. "This album is a snapshot of Walter and me in the laboratory – tweaking things here and there, using the synthesizers and the samples, coming up with something that was truly our sound. We looked at the project as a blank canvas, and just wrote whatever we felt like writing and see where it would take us." As a teenager, Kenny soaked up the R&B of the early and mid-1970s. Inspired by the likes of Earth, Wind & Fire and Grover Washington Jr., at the age of 17 he landed a gig with Barry White and his Love Unlimited Orchestra at the Paramount Northwest Theatre in 1973. After high school, the gigs with R&B and contemporary jazz artists like White and Jeff Lorber kept coming. In 1982, he landed a record deal with Arista and launched a solo career with three critically acclaimed jazz albums – Kenny G (1982), G-Force (1983) and Gravity (1985). By the '90s he was a multi-platinum seller and a frequent collaborator with some of the most iconic figures in American popular music, including Aretha Franklin, Whitney Houston, Natalie Cole and Frank Sinatra. His subsequent studio albums, Silhouette (1988) and Breathless (1992), were hugely successful, the latter selling more than 12 million records in the US alone and spawning the Grammy-winning single, Forever in Love. Other career highlights include Miracles, a 1994 holiday album that took him to the top of the Billboard chart for the first time and has since become the best-selling holiday album of all time. His following two holiday albums, Faith (1999) and Wishes (2002), have also been successful. At Last…The Duets Album (2004), featured performances by Barbara Streisand, Burt Bacharach and LeAnn Rimes, along with a remake of Outkast's The Way You Move featuring Earth, Wind & Fire. Kenny joined the Concord record label in 2008 to release Rhythm and Romance, an album that united him with an all-star line-up of Latin musicians, including guitarist Ramon Stagnaro, percussionists Michito Sanchez, Paulino Da Costa and Ron Powell and Weather Report drummer Alex Acuña.